NiMH Charger needed to charge batteries. 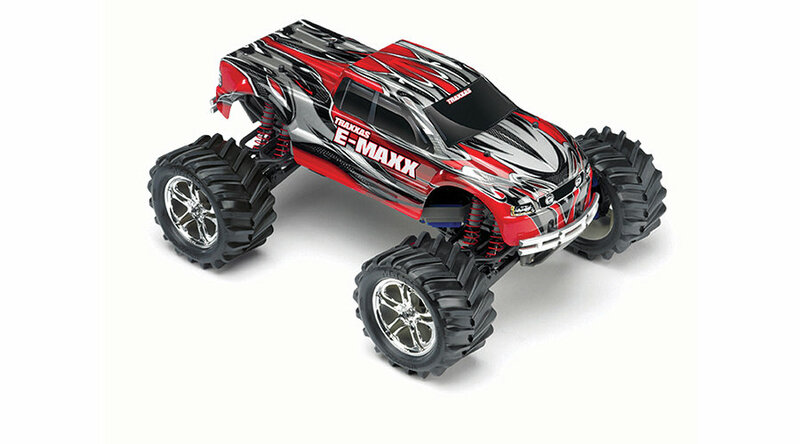 The Traxxas E-Maxx takes 4WD monster truck thrashing to the next level of fun and excitement and with its included 7-cell NiMH battery packs, going from box to back yard is faster than ever! Along with the incredible 16.8-volt EVX-2 dual motor power system, key improvements have been engineered into the suspension, driveline, chassis, and electronics to make this the toughest, most vesatile E-Maxx ever.